Via Hurriyet Daily News and Today’s Zaman I learn of the consecutive murders of three women in the İzmir province since Saturday. A cis man, identified only by his initials (H.A.) was apprehended early on Wednesday. H.A.’s first alleged victim was Esar Yaşar, a female bank employee. She was shot in the head Saturday night in the Balçova district. The second victim, Ayşe Selen Ayla, was attacked near her house. The last victim, Has, a 30-year-old transvestite, was murdered Monday night when she was shot in the head in her car in the Konak district. The suspect stole the victims’ bags and used the same gun in all three cases. My condolences to the families, loved ones and friends of the murdered women. Across this fucked-up planet of ours, trans women are murdered at the rate of one every 52.5 hours – if this figure was translated into the cis community, it would equate to one cis woman murdered every 23 seconds, for no reason other than that they were cis. So don’t tell me that our numbers are too small to get worked up about; proportionately the murders of trans women are of a scale that, in other contexts, would be considered near genocidal. If 1,332,000 cis women globally had been murdered in the past two years, for nothing more or less than being cis women, would that be ignored the way our murders are? Because, by a quick back-of-an-envelope calculation, that’s what our murder rate would translate to in cis society. Update, 29 April: One of the victims, Azra, was one of the first members of Siyah Pembe, which the local İzmir government has been trying to shut down through a law suit (I wrote about it here). My paternal Grandmother (RIP) and I both celebrated ‘milestone’ birthdays in 1977; I was 21 and she was 70. Our birthday dates were only three days apart and that year there was a family get-together to mark the two. I remember my Grandmother saying to me that, whilst she may be 70 ‘on the outside’, she didn’t feel much different inside from how she felt when she was 21. I’m 53 now and recently I find myself thinking about that quite often. Not only in terms of how I feel inside, but also in the way society views, and treats, older people. It’s hard not to see a lot of ageism, both in the prevailing prejudices towards older people – as well as in older people’s prejudices about younger people. And prejudice is, I think, at the root of ageism. I often see the term used to describe a form of discrimination against older people; a shorthand for prejudicial attitudes towards older people, old age, and the aging process. In that sense, perhaps it could also be considered to be a form of oppression. But ageism can, and does, run in both directions. Younger people can use oppressive and discriminatory words and actions against older people, just as older people can use oppressive and discriminatory words and actions against younger people. “Turn that noise down” versus “If it’s too loud, you’re too old”, to pluck one random example from the air. Where all this is leading me, in a very roundabout way, is into the question of the way our lives as well as our attitudes change as we grow older. In particular I’m becoming increasingly concerned about what the future may hold, in a way that the 21-year old me would probably have been either unable or unwilling to comprehend. It’s all very well musing on memes like “If I could be 21 again, but knowing what I know now”, or “If you could go back in time and give your younger self advice that she’d benefit from in the longer term, what would you say to her?” but it’s a bit like thinking about what you’d spend your lottery winnings on (assuming, of course, that you play the lottery anyway) – you know it’s never going to happen, but it’s fun to imagine. As part of the process of coming to terms with the passing of the years, I’ve recently started to look for online resources that might offer practical information. And I have to say I’ve been really disappointed. The couple of trans specific sites I’ve found seem to be both out of date and U.S. focused whilst ‘official’ (government) sites here in Britain seem too generalised to be of any use – and it’s hardly a surprise that I can find no mention of the specific issues that seem likely to face older trans people. The most comprehensive and current sites seem to be run by older cis people – but those, equally unsurprisingly, completely invisibilise trans people. Although many of our needs overlap with cis people’s, there are trans specific issues too – to give a couple of examples: health issues around the long term use of hormones; whether being trans makes any difference to (for example) residential care providers, etc. To be honest, the almost complete invisibilisation of older trans people in already limited online resources is really rather disheartening – so if anyone can recommend any sites that might be of interest, please leave a link in comments. 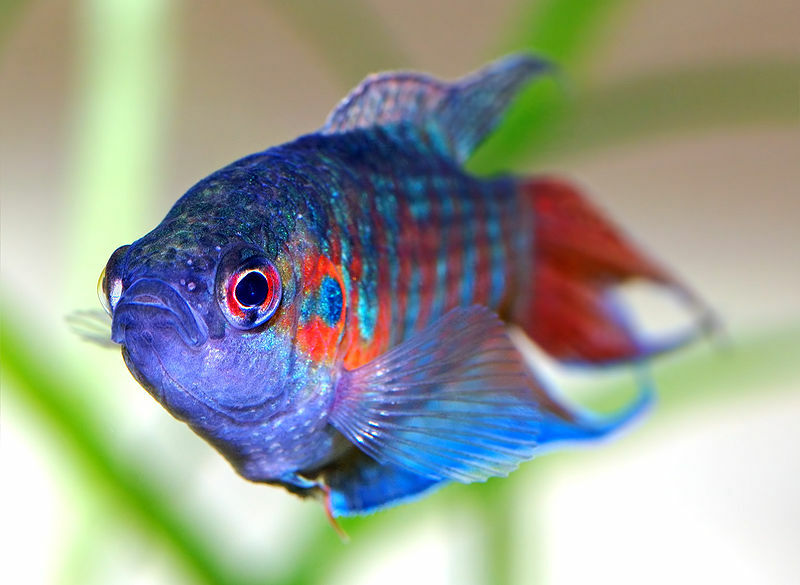 This post is dedicated to whoever landed here at BoP today after searching online for pregnant paradise fish. Twice. I’m sorry that you weren’t able to find anything about pregnant paradise fish but hope this image (via Wikimedia Commons) goes some way to making up for it. Via The Daily Telegraph (and others) comes another masterpiece of “journalistic” misgendering, in the guise of transphobic scare-mongering fact-finding. It seems that since 2000, there have been 853 surgeries carried out on trans women. In 2000, there were 54, while last year there were 143. Fewer than 9 surgeries a year, on average. In the same time span, there have been only 12 surgeries carried out on trans men. The average age of the trans women works out as 42; no figures are given for trans men. There’s only been one surgery carried out on a trans woman under 21 years, and that was in 2002. The newspaper quotes a figure of £10 000 as being the typical cost of SRS (presumably for trans women); but it’s not clear whether that is the current cost, or an average over the decade. Either way, at an average of 85 per annum, that’s a yearly figure of around £853 000. The report provides no information about the comparative cost of other surgeries carried out by the NHS. For example, how much is spent patching up military employees who’ve been turned into dogmeat fighting some random war in another country; or people who’ve smashed up themselves (and others) whilst drunk-driving. Neither is any information given about the number of people who may have been diagnosed as transsexual but who don’t transition through to surgery; or how many are still in the system awaiting surgery. And, of course, there’s nothing about transsexual people who undergo their surgery outside the NHS (for whatever reason) because, guess what, there’s no national record kept. Context: Look it up, it’s in the dictionary. ETA: In 2008, the population of the UK was estimated to be 61,383,000 (via Wikipedia). For argument’s sake, let me assume that figure stayed much the same through 2009, when 143 surgeries were carried out. A quick calculation would suggest that the percentage of the population who underwent SRS on the NHS is around 0.0002% (Via). Trans*tagung 2010: Trans* ist fuer alle da! is a multi-threaded conference and forum for the transgender community. We would be delighted to share this event with YOU!